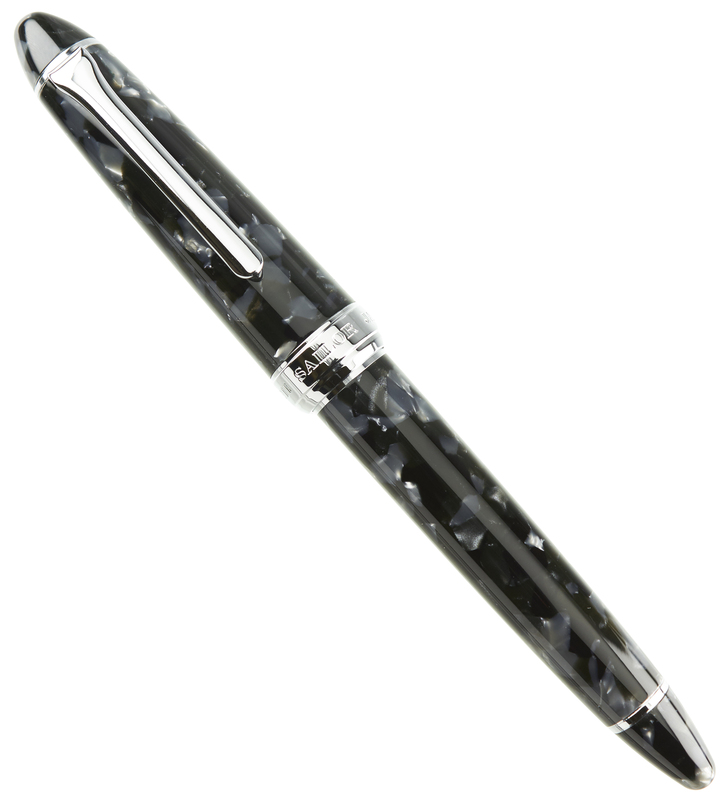 The last of a series of pens created using this unique color pattern, the Sailor 1911 Mid-Size Mozaique Black (first from the left in the manufacturer image seen here) is being made available through us via a special arrangement with Sailor Pens and their U.S. distributor. 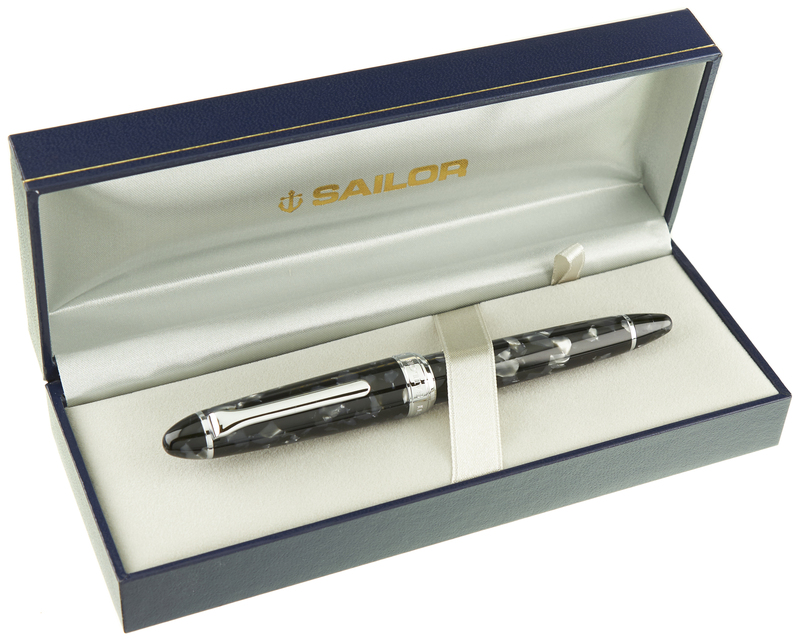 Normally provided with only a Fine or Medium nib, we are able to offer this pen with your choice from among the full range of Sailor 14k solid gold rhodium-plated nib units. Just a very small number of pens in each of the three colors has been produced, after which no more will be available. 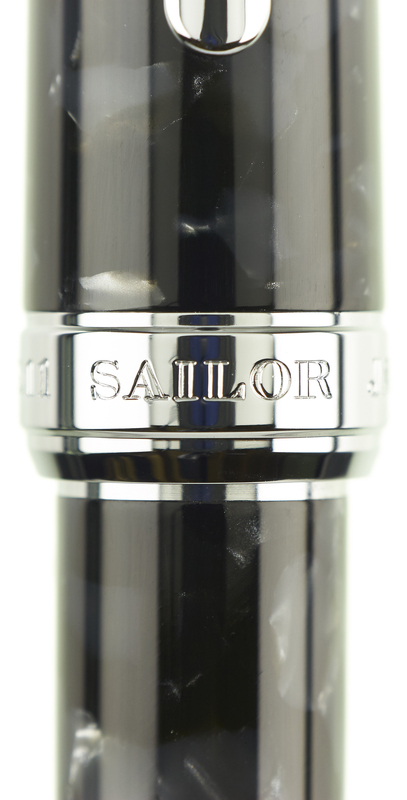 We are an authorized Sailor retailer. The Sailor 1911 Mid-Size is an ideal introductory fountain pen, and the stylish patterns of the mozaique pattern give each of these pens a special flair and distinctiveness. 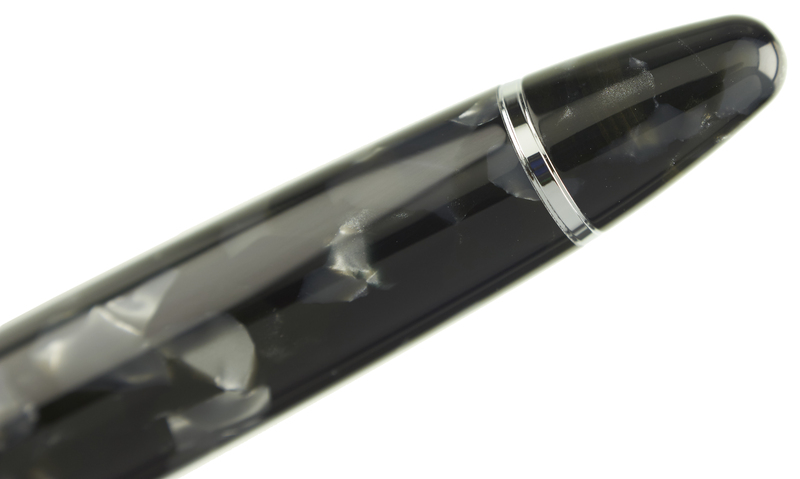 The convenient cartridge-converter filling system allows for the use of any bottled fountain pen ink when fitted with the provided converter. Sailor brand disposable ink cartridges can also be used. 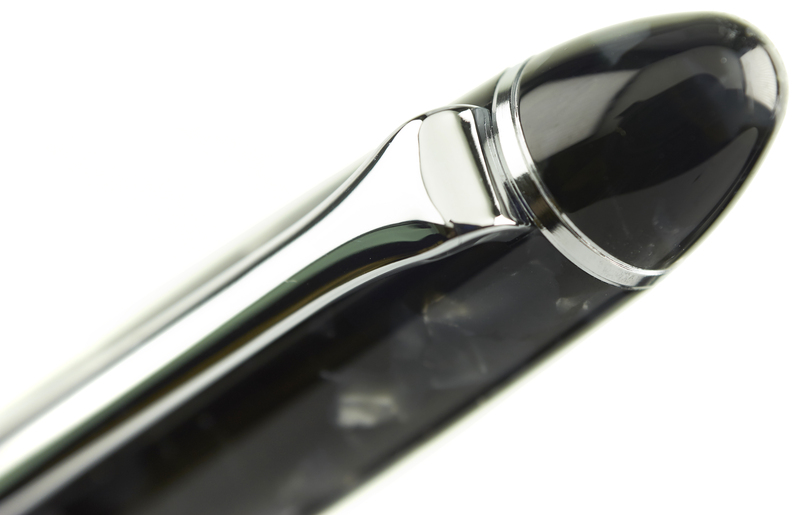 Our complimentary nib tuning adjusts optimum pressure and ink flow to your own personal writing preferences, and our optional nib customizations can add to the character of your writing on the page by providing for additional line-width variation. Each pen ships in an attractive presentation box which includes the converter and two starter ink cartridges.